Samsung Galaxy E5 was launched in January 2015 as one of the budget Smartphone from Samsung. The devices comes with Android KitKat; which is pretty outdated in 2016. 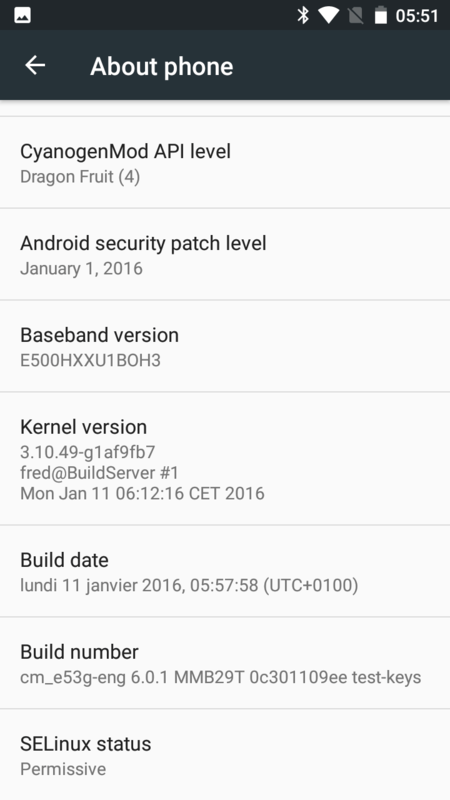 We are kick starting 2016 with Android Marshmallow ROM on Galaxy E5. As its an unofficial build, you might find some bugs. 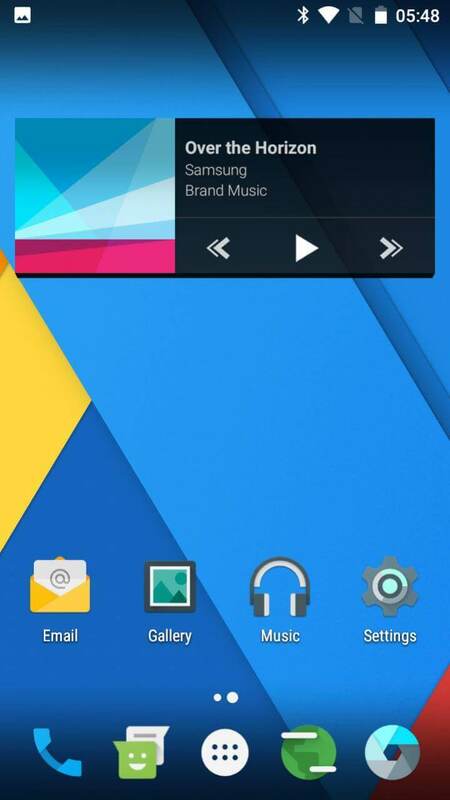 But that’s completely OK, as we get to taste Cyanogenmod 13 – CM13 (Android M) in Galaxy E5. 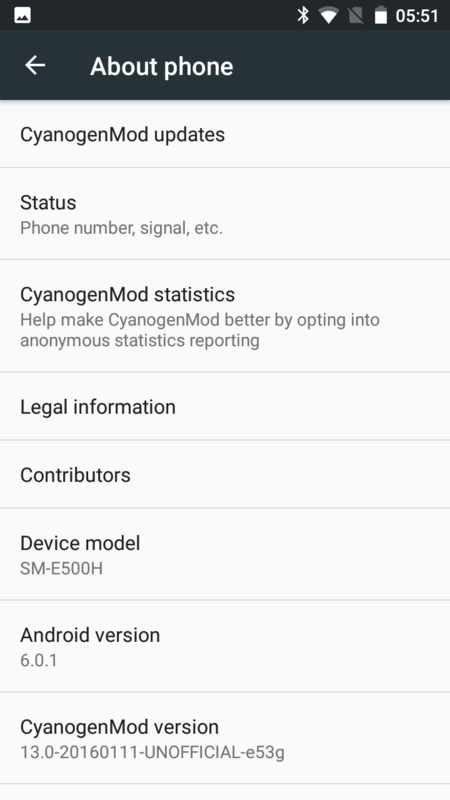 If you are not aware of Cyanogenmod, then you just need to know that, its a Custom OS which offers many options to customize your device unlike Stock Android. Before starting off with Installing CM13 in Galaxy E5, make sure you comply with all the prerequisites. Lets begin with Updating Galaxy E5 to Android M 6.0.1! Galaxy E5 (E500H) charged upto 50% to avoid shutdown during the flashing process. Note: Devs-Lab won’t be held responsible for anything happening to your device during this process as you have decided to make this modifications. 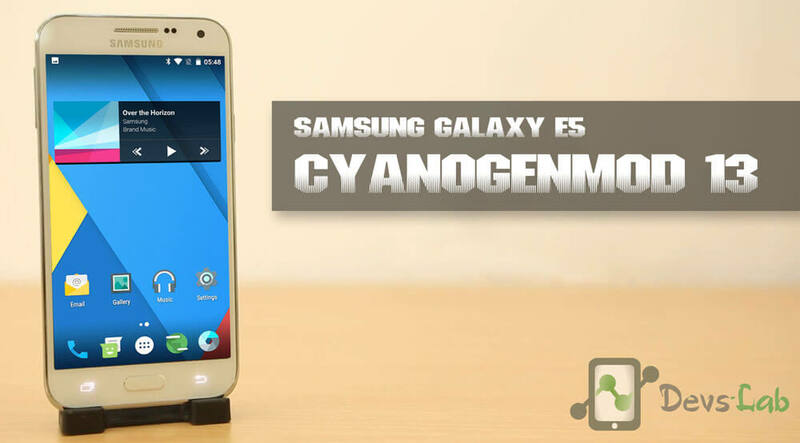 This ROM is only for E500H variant. Don’t install in any other variant. If you are new to Rooting, you must refer to Complete guide about Rooting. After this process, your warranty will be void & in most cases, you won’t be able to get it back. Step 4: Now its time to flash CM 13 in Galaxy E5 But before doing that, go to Wipe (in TWRP Recovery) & select cache, system (Select system only if you are coming from other ROMs), data dalvik cache. Swipe to confirm wiping. Step 5: Go to TWRP Homescreen & click on Install. Select the CM 13 ROM for Galaxy E5 zip from the list of files. Swipe to confirm flashing. This might take around 5mins. 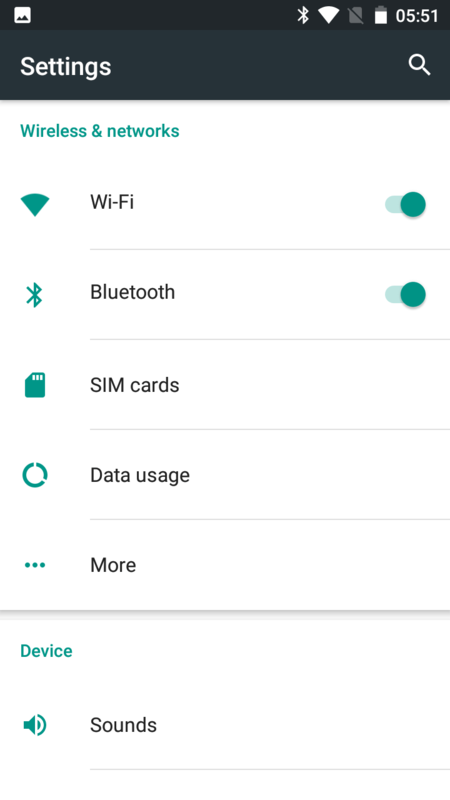 To enable root access, Goto Developer options (Settings>About Phone>Tap build no. 7 times)>Root access. Please don’t complain about known bugs as developers already know those bugs. You can report the bugs in the forum with logcat.